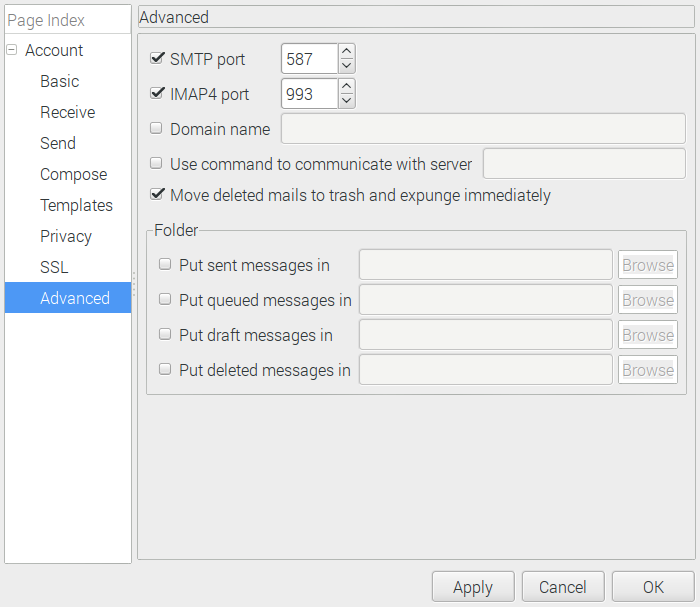 Claws Mail is an email client aiming at being fast, easy-to-use and powerful. It is mostly desktop-independent, but tries to integrate with your desktop as best as possible. 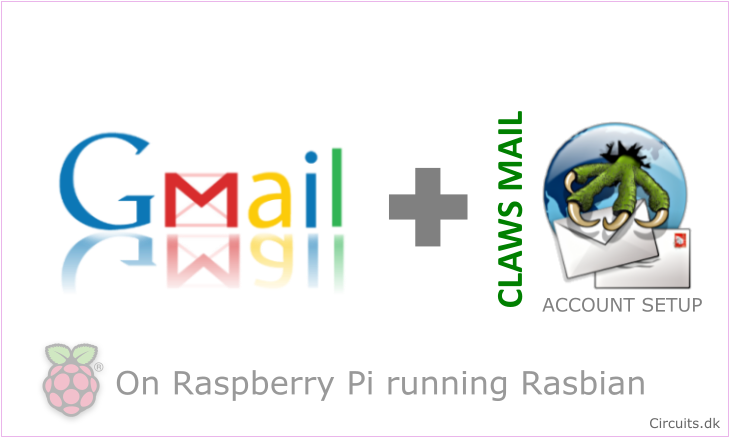 The Claws Mail developers try hard to keep it lightweight, so that it should be usable on low-end computers without much memory or CPU power, which is great when running it on a Raspberry Pi embedded SOC computer. What is Claws mail not? 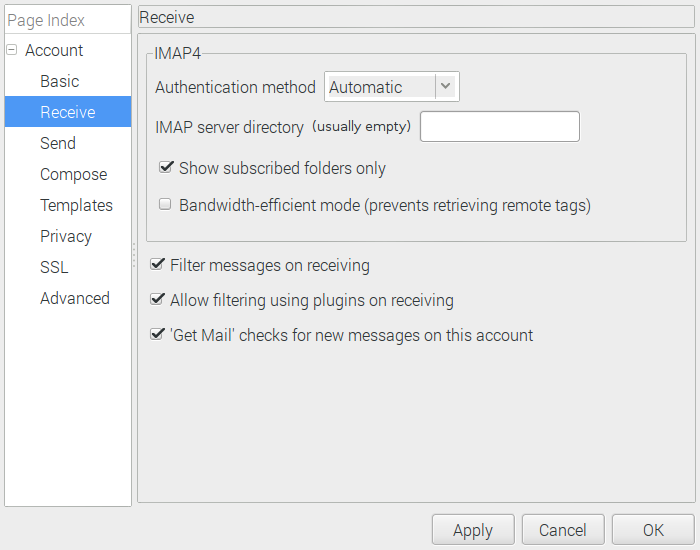 The first thing you have to do is set up Google Mail to allow IMAP connections. 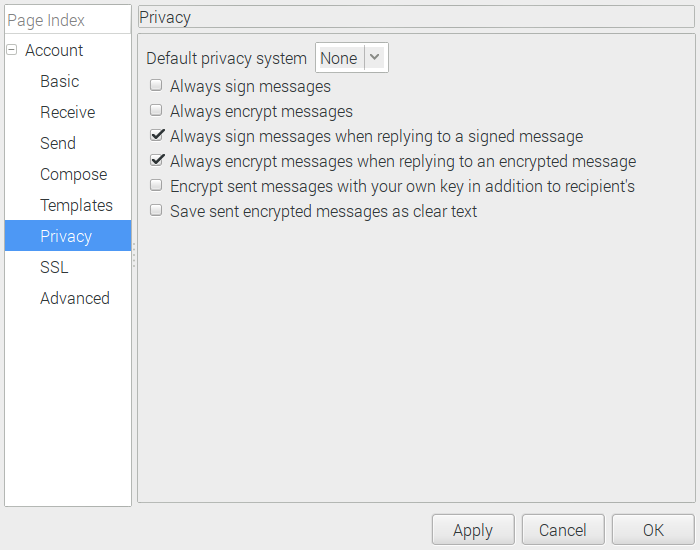 Gmail denies access to desktop email clients such as Claws Mail by default. 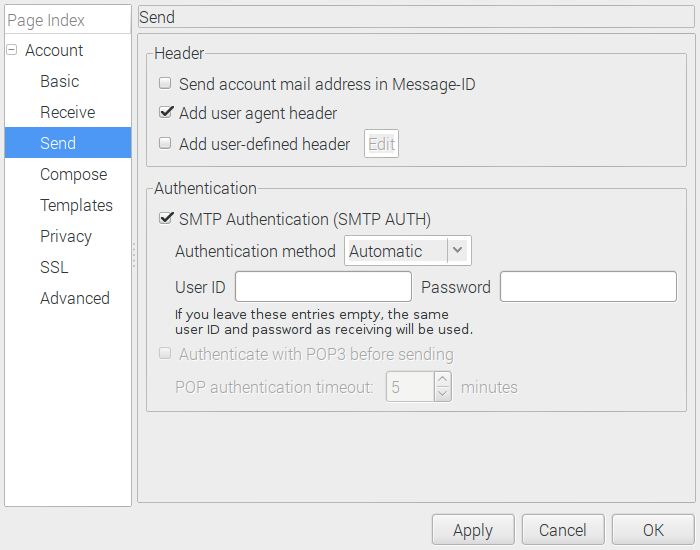 Any sign-in attempt fails as if you had used an incorrect password for smtp authentication. To allow access, you need to modify an option in your account’s security settings. 1. Log in to the Google Accounts homepage. 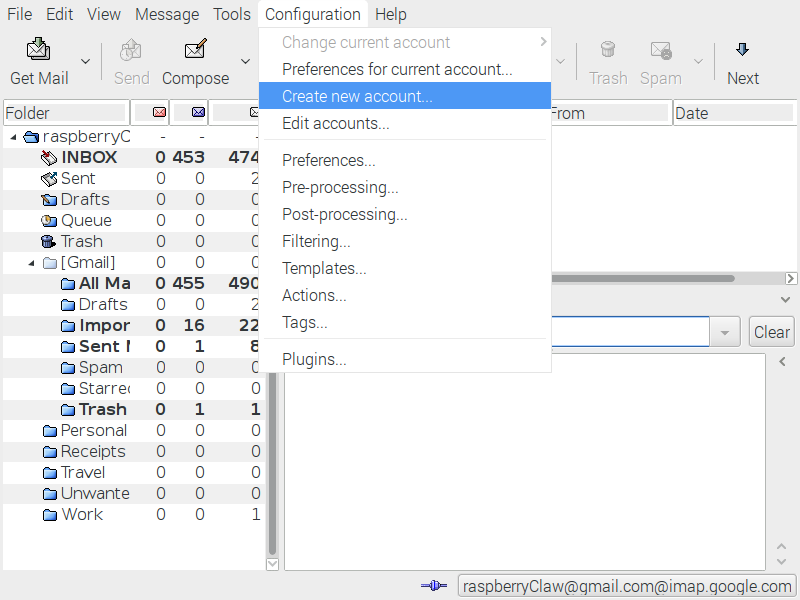 Start the Claw mail application on your Raspberry Pi and go to the Configuration menu and select Create New Account. Use the table below to update your client with the correct information. Go back to the main Claws Mail window. If you right click on the Gmail main folder you will see an entry for Subscriptions. Under that entry there are three sub entries. Click the Subscribe entry to subscribe to your Gmail mail. 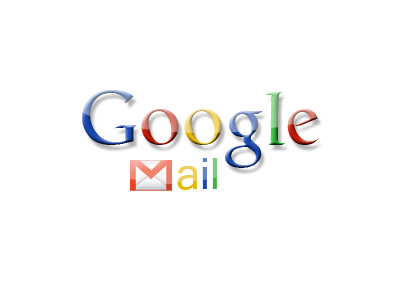 Once you have done that, you can click Get Mail to download all of your Gmail mail. You are ready to go. Thank you so much for this tutorial! None of the others worked and your picture guide was very helpful! 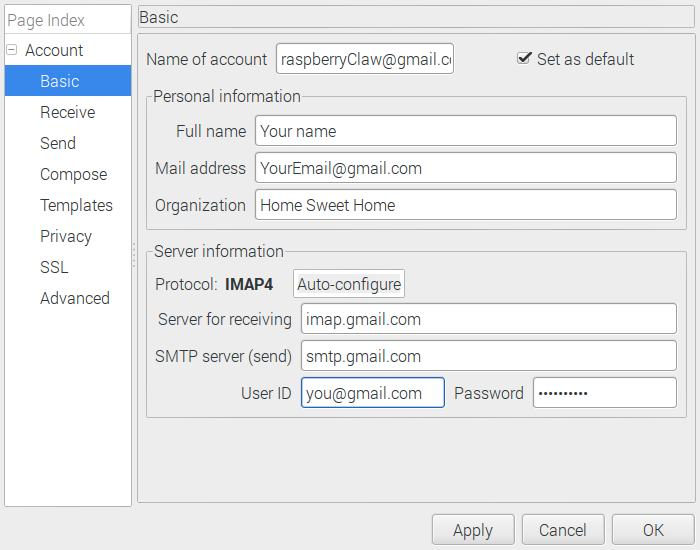 I have been trying for a month to configure my Raspberry Pi3 Claws Mail to my Charter email account with NO success. I have tried every concievable variation of the demanded settings. Can you help me? I’m about to give the d–m thing away. 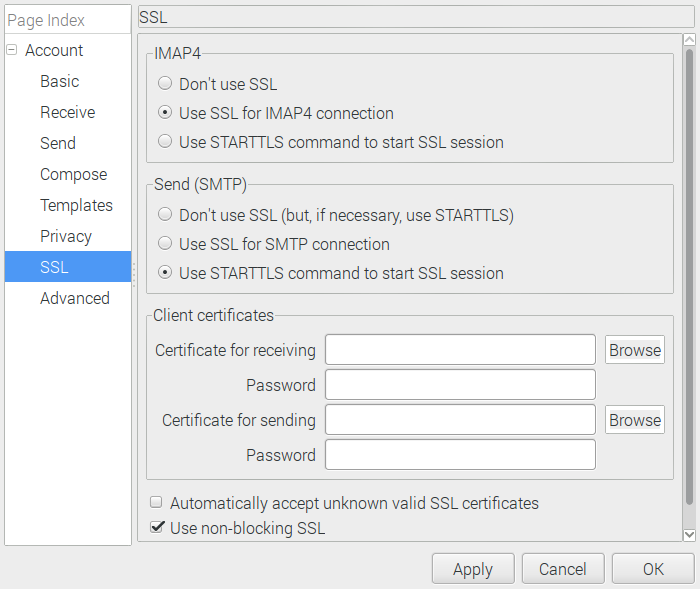 SSL:	This setting should be ON for both SMTP and IMAP. 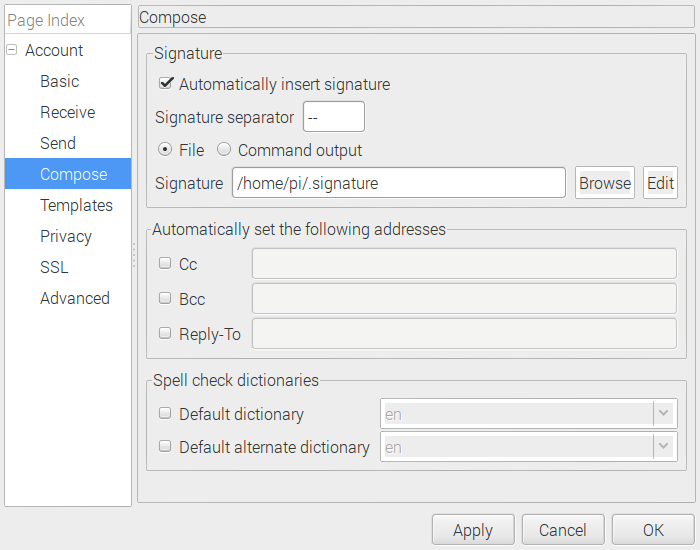 Note: Sign-in is required when sending and receiving email. thanks, was able to setup although don’t have Rpi, works great in linux box.